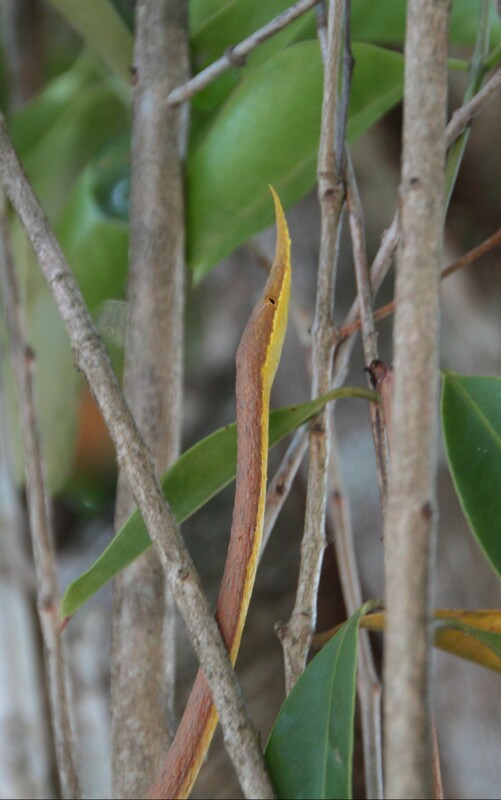 During a semester abroad with the School for International Training in Madagascar, I conducted an observational field study on the Madagascar leaf-nosed snake, Langaha madagascariensis. This study recorded previously undocumented aspects of its ecology including habitat preference, foraging strategies, and diet. I presented this work in a poster at the 2011 Joint Meeting of Ichthyologists and Herpetologists in Minneapolis, Minnesota. 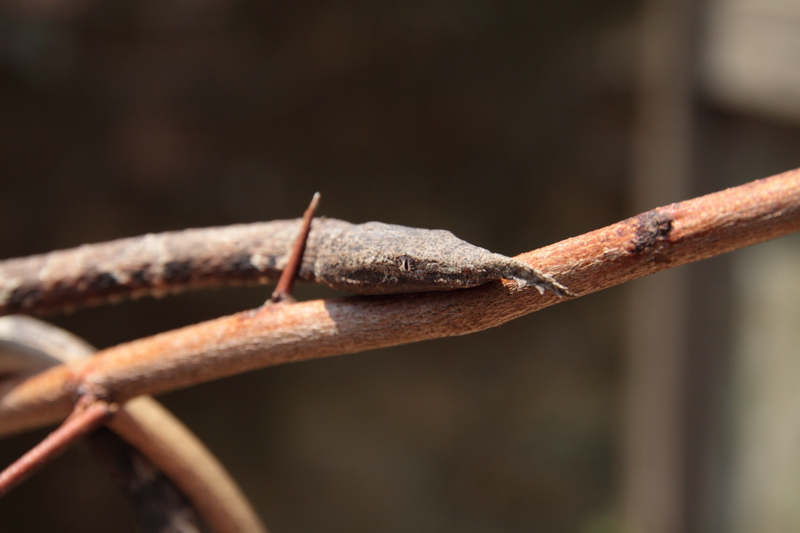 The resulting article is published in the journal Herpetological Conservation and Biology. This species shows a high level of sexual dimorphism. 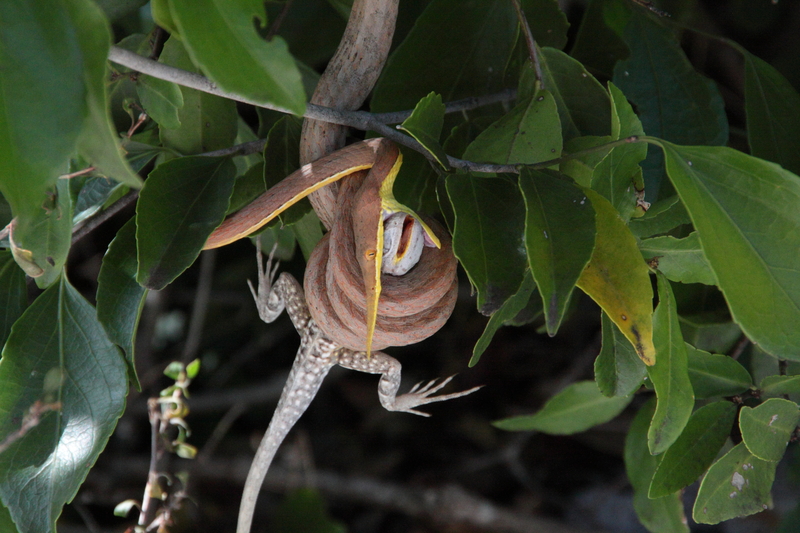 Male Langaha eating a terrestrial lizard, Chalarodon madagascariensis.